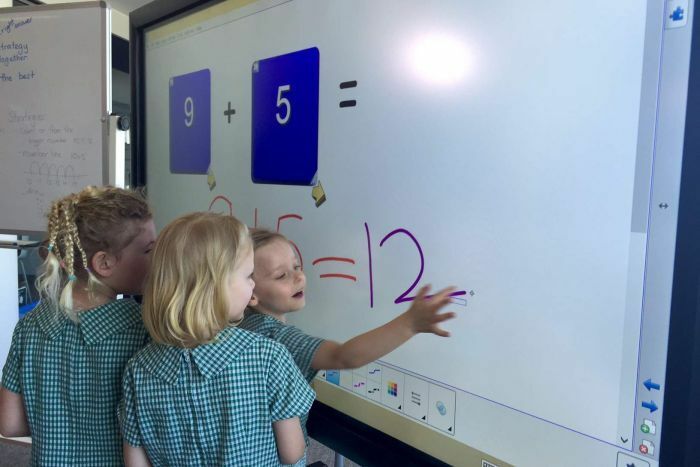 The new technology is being tested at the Department of Education's Futures Learning Unit at Australian Technology Park at Redfern, before it is rolled out to 1,600 classrooms over the next decade. The designs being tested include prototype classrooms where students can write on desks and walls. New digital projectors can cast images onto the floor so students can gather around and control what is on the screen with the flick of an interactive pen. You can't teach the same way using new technology, you've got to use that new technology and you've got to teach differently. Wi-fi and connective software means devices in the room, including tablets and laptops, can interact with each other. NSW Education Minister Adrian Piccoli said the way children learn was evolving as times changed. "What children are using at home with their friends and what they're seeing online has got to be reflected in what happens in the classrooms, otherwise schools are going to be left behind," Mr Piccoli said. "I had a student who said to me before, 'this is much better than learning', when indeed learning is exactly what he was doing." Mr Piccoli said there would be some critics of the flexible classrooms, which have beanbags and light-weight furniture that can be moved around instead of traditional chairs and desks. However, he said it meant children were more engaged with what they were learning. "If a little boy is reading on a bean bag, that is great for the child — the fact that they are reading — irrespective of where they might be reading. "You can't teach the same way using new technology, you've got to use that new technology and you've got to teach differently," Mr Piccoli said. We now moving Past the Star Trek style of classroom... for something even more advanced. we have got past that and that is part of the point of the 'smart tech' to allow individual paced learning. it is more focused on 'not slowing the fast ones down' . the Human teacher still basically goes at the pace of the slowest (but we do have special classes for both gifted and slow kids) but any kid with a a desire to go faster can with their device. really good for keeping little ones engaged. and by the time you get to high school they can basically be an entire year pasted their traditional school year in their 'strong' subjects. some of the Applications are amazing, particularly the science ones they a start off for 12 year old, but end up at to near university level. veya_victaous wrote: we have got past that and that is part of the point of the 'smart tech' to allow individual paced learning. it is more focused on 'not slowing the fast ones down' . No, the human equivalent of standing up and fighting for people's rights outbreak, and boy is it going strong. "if we disarm the country no one will attack us ...please"
Haven't pupils always written on desks? It's not all bad Victor. Corbyn's election has resulted in a large increase in people's interest in politics...........I for one will be making sure my vote isn't wasted ever again. The thought that he might get elected, however remote I can see a large increase in voters ensuring it doesn't happen, that's if he makes it to the next General Election, the party seems to have pressed the self destruct button. Expensive gimmick... its not about flashy lights and click buttons... its about the actual knowledge and understanding of core subjects that is important. Tommy Monk wrote: Expensive gimmick... its not about flashy lights and click buttons... its about the actual knowledge and understanding of core subjects that is important. Only a matter of time before this become the primary way to make things.. better learn how to the use the machines that let you interface with the tools you will need in the future.. I would rather see a class of kids own designs with plastercine or clay any day! the computer can teach them all the core subject much faster and it teaches them one to one so it goes at the pace they need. So is that what you do? and how does clicking a flashing light give you a 3d image file... the exact same format as Victor currently uses in his CC router, as do almost all people that BUILD STUFF. You seem to think people still use hand tools. Computers already do the majority of the work but you still need to tell them what work to do. This teaches kids from a young age how to do that so rather than scribbles on grid paper, they make 3d models of their ideas. 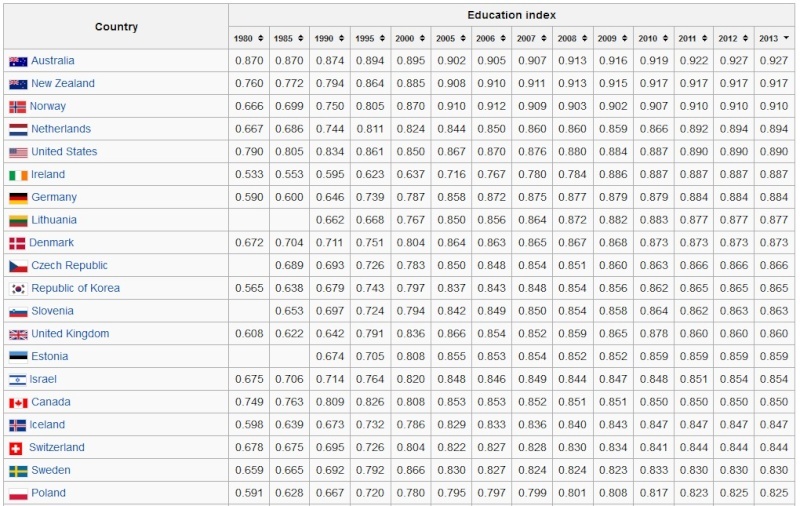 And clearly the fact we are so much more successful that the UK after implementing 21st century education shows that it works. Australia is Literally number one since 2013.... so Don't change stick to the old stuff and slip further behind like everything else in life Tommy. Do you enjoy Obsolescence? do you think it is right to force it on the future British? combined with video it is better than a what was there before But for true Professional level yes you still want to do an apprenticeship or go to tertiary education. Like i said the real point is for the kid that wants to know more, it doesn't stop with what is printed on the page they can click and get more and follow the 'rabbit hole' of learning. yeah...but what does grumpy old dude do when the solar storm hits and wipes out power and his machines??? without the need for "tech"
Lord Foul wrote: yeah...but what does grumpy old dude do when the solar storm hits and wipes out power and his machines??? Oui Sunshine, what about me, I can grow and kill (if necessary) my own food and probably cook it as well as you! And I've cast metal and worked with wood, and I could make pots from clay to eat out of. nah you starve within weeks....or get shot "snaffling"
You wish! You don't know what I've been up to in my earlier years lol And I can make cheese, and really good bread, the smell of the bread would have you bartering. Let alone i could build a steam engine and make electricity from that. BUT I wouldn't need to follow you anyway. I can almost guarantee my 'bush skills' are more developed than most Brits. they are decent even by Aussie standards with the trees down here i can make basic liquid fuel, antiseptics, cough syrup and hallucinogens. with important plants too (that of grow here) I can make a whole range of medicinal herbal teas. been fire twirling since i was 20 which translates into pretty extreme spear and staff skills. That stuff in the OP looks really good Veya and it surely engages the pupils much better in working with arithmetic. Anything that gets them intersted can't be a bad thing and new technology like that is just the job. Definately looks good to me. The conservative feels safe and content only if he is assured that some higher wisdom watches and supervises change, only if he knows that some authority is charged with keeping the change "orderly. In other words a bunch of cap-doffers and forelock tuggers. Yep, but my waifs and strays would be taught what to do and all pull together, because they would have known what hard times were like. and ...just what...would you do with this electricity stuff you made??? Irn Bru wrote: That stuff in the OP looks really good Veya and it surely engages the pupils much better in working with arithmetic. Good back to the OP. yep that is right like the minister said the important thing is they are reading, what they read on what they sit on is less important than just encouraging them to read. Kids love new technology and new ideas. They take to it much better that us oldies. They've even invented a new language to make communication on their mobile phones easier and quicker and cheaper. Yep and oldies never do it right, do you remember Dave and the LOL thinking it was Lots of Love! I do. Dave needed to get with the programme and wise up.